As my regular readers know, I embarked on an experiment to determine if app development might be a good lifestyle business for a retiree or for someone looking to bring in a little extra cash. I promised to be transparent with my findings, so here you go. Almost 1,000 Downloads – In just over a month, it has received just under 1,000 downloads but less than 1% of those upgraded to the paid edition. 30 (5 star) Reviews – The users that have downloaded seem to like it, it’s received about 30 reviews, all of them 5 star. App Worth is $5,110 – Sensor Tower says the app is now worth about $5,110 (if I were to sell it to another app developer). Will this app be successful? It’s too early to tell but my gut tells me that it is in a very competitive space and it could do OK but not great. I will continue to tweak the app, work on ASO (app store optimization) and continue to evangelize it until I have enough data to determine how well it will do long term. Crowded Competitor Landscape – I researched my competitors and found their pros and cons but I ignored the fact that the space was very crowded with well established competitors. I’ve decided to cut the price of aMemoryJog in half (was $9.99 it is now $4.99) to better compete on price. The features of aMemoryJog are very similar to the large competitors but now it is half the price. Did not Implement a Minimal Viable Product – Rather than spending almost a year having the app developed, I should have tested the idea first with a minimal viable product (MVP). This is where you create an app with very minimal (but well tested) features and get it into production quicker and allow your user feedback to steer the development of future features. By doing this, I could have spent less money and gotten into into the app store faster so that I could see how the product was going to do. Localized too Early – I localized the app in 8 languages and this was a MUCH bigger investment than I knew going into it. I had to localize not only the app but all of the app store descriptions, screen shots, keywords and titles and had to enlist services to do this. All of this costs money but more importantly, it takes a lot of time and effort. I should have first tested the product in English then once I knew it was successful, start localizing in other languages. Difficulty in Getting App Reviews – Getting app reviews are harder than it seems. I’ve submitted it to over 100 app review sites and found that most of them want to charge you to write a review. I think that skews the integrity of the review because you are paying to have it reviewed. Difficulty in Getting Press – After creating a press kit and press release, I was not able to garner any significant press. Spent too little time on ASO – I did not spend enough time getting my screen shots, keywords and descriptions within the app store correct to drive more traffic (I am fixing that now). I have now immersed myself in ASO techniques and will hopefully make an impact in the next release. Underestimated the App Approval Process – Since my app requires a high level of security, we encrypt all of the data. I did not realize that you must fill out a lot of forms with the app store to implement encrypted security and you endure higher levels of scrutiny by the Apple app store. That makes sense because it protects the users but it takes much longer to get your app approved. Impact of a Login Screen – I found that a lot of people do not like logging into an app, they prefer to use it more anonymously. 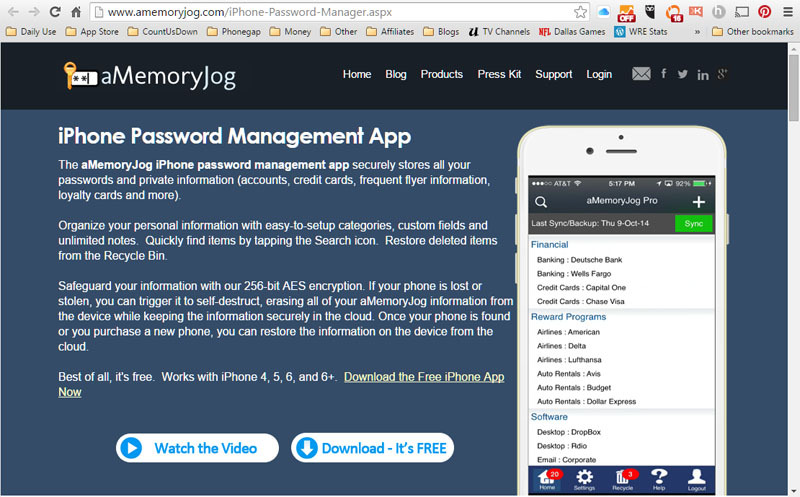 With an app like aMemoryJog, you obviously have to have a solid login process to protect the user’s information but it does cause people to turn away from the app once they see the login screen. 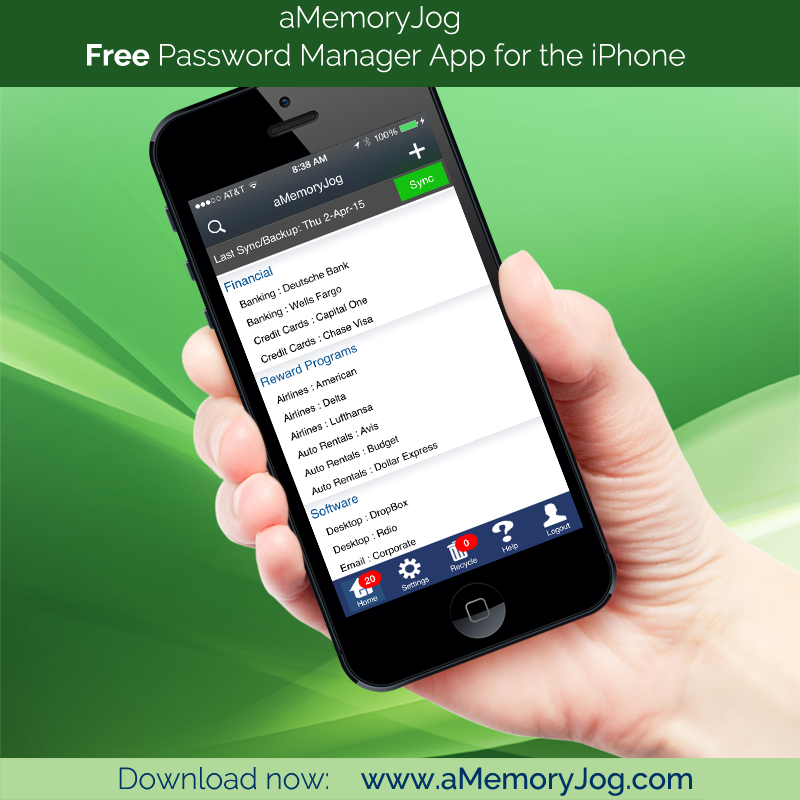 Tweak aMemoryJog – Continue to tweak aMemoryJog from a marketing perspective (ASO, reviews, etc.) to try to get more downloads. Learn from our users and only add features they care about. Create my next App as an MVP – Develop my next app as an MVP (minimal viable product). This app will be a Count Down app that allows you to count down to a specific date (like a birthday, anniversary, retirement, sporting event, etc.). 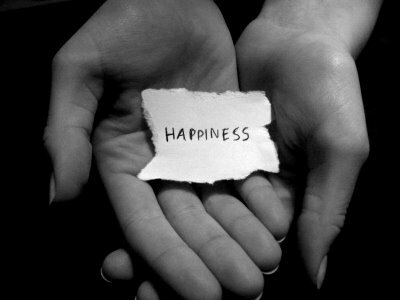 I will first launch it with minimal (yet very well designed) features then add on as the user dictates. It will cost a fraction of what I paid for the development of aMemoryJog and I am designing it in a way that I can make changes myself once it is developed (using a different technology) and can more easily port it to Android if it does well. 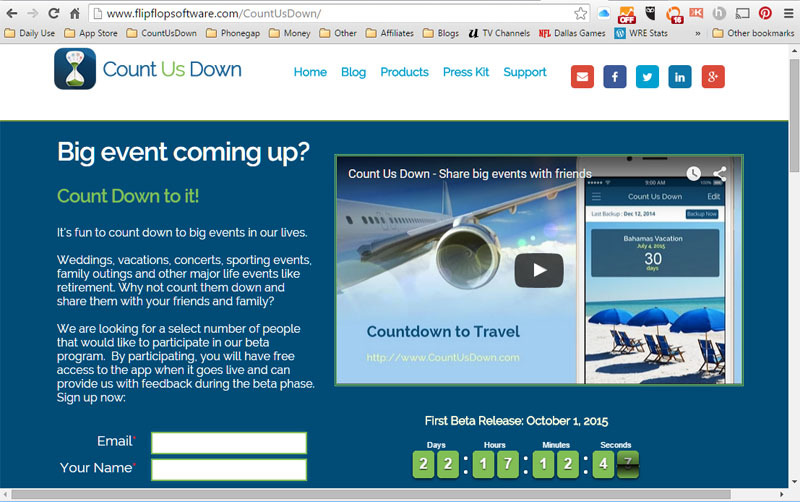 Create Derivative Apps – If the Count Down app is successful, I can cheaply and easily make derivative apps from it. Find Less Crowded App Ideas – Look for other app idea that are much less crowded in the app store and would be quicker and easier to implement. Create Apps without a Login Process – Try to create apps that do not require a login (I’ve noticed this turns many people off, having to supply their email address to use the app). Create Apps that encourage Sharing – Try to create apps that work well if shared with others. This takes a lot of thought but if done correctly, it will drive a lot more downloads of the app because people will be sharing it with their friends and peers. This entry was posted in App Development and tagged amemoryjog, app development transparency, app research, ASO techniques, lessons learned from app development, press release on May 13, 2015 by Steve Miller.